Trophy Blue Catfish Guide Captain Chuck is a U.S. Coast Guard Licensed Captain and CPR/First Aid Certified. He has been fishing the rivers and lakes of Western Virginia for 20 years. 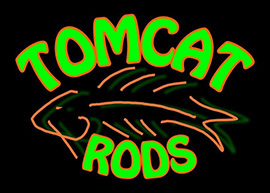 Most recently focusing his fishing on the James River in Hopewell, VA for trophy blue cats. Being able to recall the thrill of his first citation blue cat catch, he wants to be able to share with you this passion and excitement of reeling in your first trophy blue cat! engine. Guided with a Lowrance GPS and fish finder to get you on the trophy blue cats. The boat is equipped with a total of ten rods, eight in the back, and two in the front. Captain Chuck uses Penn 320 GT Reels with Tiger Ugly Stick Rods and Gamakatsu 8/0 circle hooks. The rods are equipped with 50 pound test lines and 100 pound leader lines. All reels and rods are inspected and updated in order to make sure you don’t lose the ‘BIG ONE’. 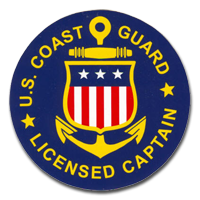 All Safety Equipment is constantly maintained and updated as required by the U.S. Coast Guard.